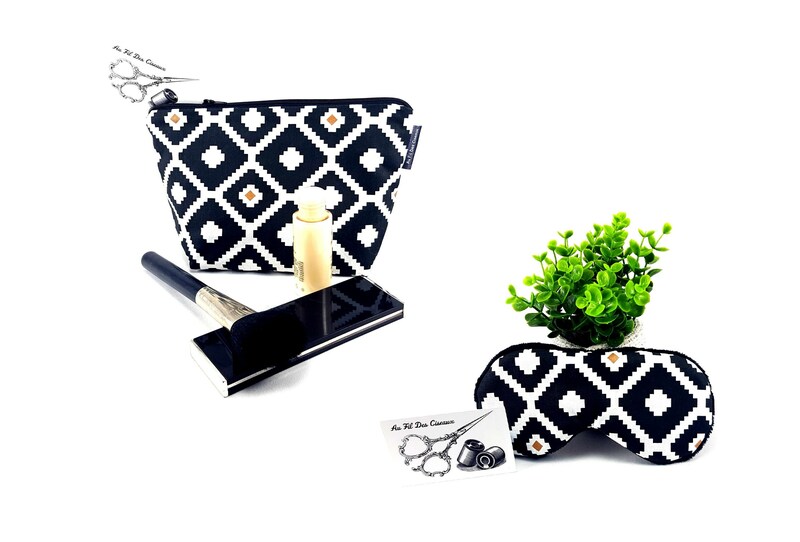 The kit is made of black, white and copper geometric patterned cotton. It is lined in black cotton and closes with a zip. Sleeping mask is made of black, white and copper geometric patterned cotton. The softness of the eyes, it is soft black fabric.